Paid CDL training programs, or company-sponsored CDL training programs, fall into one of two categories. 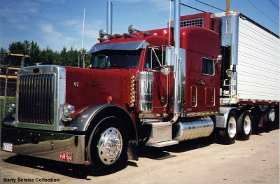 Truck driving schools which are owned and operated by a trucking company. In this case the trucking company itself will train new drivers at their own facility. 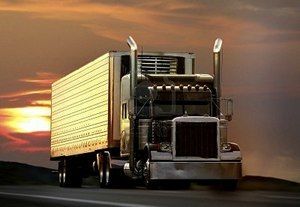 Truck driving schools whose up front costs are covered by a trucking company. In this case the CDL training will be done at a private truck driving school but the costs will be covered by a trucking company. In return for this training the driver will sign a contract agreeing to work for the company for a period of time, usually between eight months and one year. Every contract is different so do your research. Some companies will require you to pay back some tuition, others will offer the schooling for free after you've been with the company for a specified amount of time. Why Is Paid CDL Training Better Than Private CDL Training? You can indeed choose to go to a private truck driving school where you would have to pay your tuition up front. At Trucking Truth we prefer paid CDL training over private CDL training for a long list of reasons. You must succeed as a driver with their company if the company is going to recoup their investment in you! Which Trucking Companies Offer CDL Training? ...and a bunch more. So follow us to our reviews of company-sponsored programs!